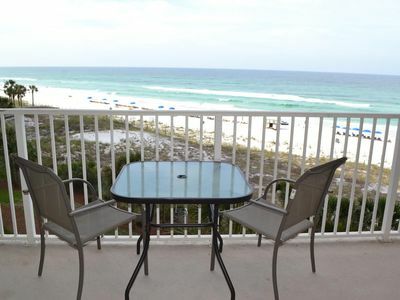 Wow!Beachfront Paradise 2BR/2BA+Bunks Spring and Summer Deals!! The living room features all new furnishings, including a Pottery Barn slip-covered queen sleeper sofa and two glider rocker club chairs. 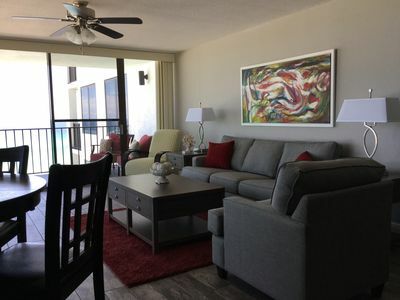 Curl up and watch a movie on the 42” flat panel HDTV or enjoy the beautiful ocean view while listening to the sound of the waves and the waterfall located just below the balcony. Come in and cook a meal (if you should want to cook) in our fully furnished kitchen. 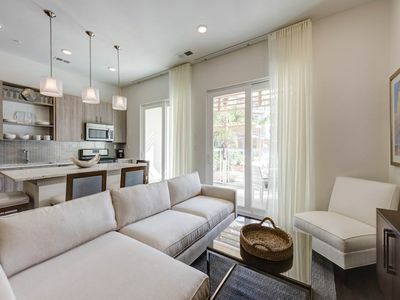 Stainless Steel Whirlpool Appliances include; self cleaning oven with smooth top range, side-by-side refrigerator with filtered ice and water in the door, ultra-quiet dishwasher and built in microwave. The kitchen also comes equipped with coffee maker, toaster, blender and garbage disposal. The master bedroom features a King Size bed with a Sealy Posturepedic Pillow Top Memory Foam mattress with matching hand painted Bombay bedside chests. Decorated in a West Indies Island décor, this bedroom also features plenty of storage for everything you bring with you, a reading area and a flat screen television that sits atop a matching media dresser with cedar lined drawers. The guest bedroom features a Queen Size bed with a Sealy Posturepedic Pillow Top Memory Foam mattress with two high top bedside tables and wall mounted swing arm lamps on either side of the bed. 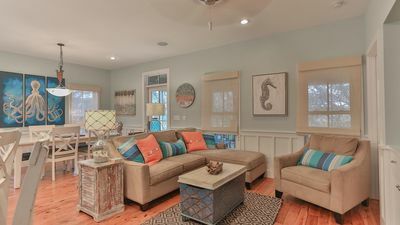 Decorated in beachside cottage theme, this room also features a 6 drawer dresser with mirror, plenty of storage and a flat screen television. This bedroom has private access to the second bathroom. This bathroom features granite countertops, tub with shower and oversized shower head. The unit features a custom built bunk bed area for children 5 feet or less. Both of the beds have Memory Foam mattresses. 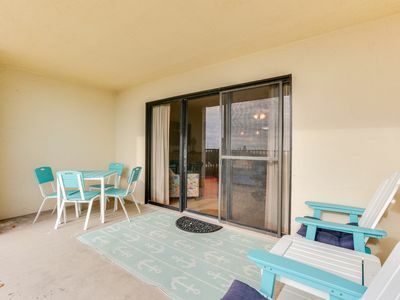 -Ceramic tile floors throughout, with the exception of carpeting in the bedrooms. -Enough dishwashing detergent, laundry detergent, fabric softener and cleaning supplies to get you started. 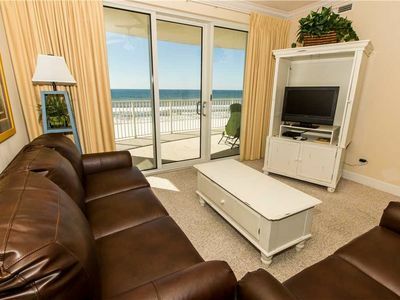 Edgewater Beach Resort is a beautiful, upscale, family friendly resort with many amenities. 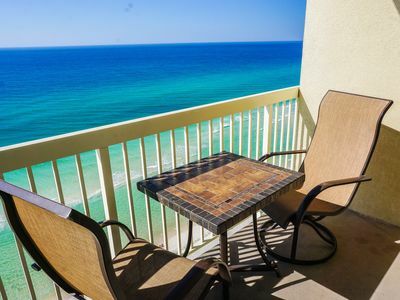 It is the only full service resort in Panama City Beach. It is a gated resort with a controlled entrance and 24 hour security. The 110 acre resort features 11 swimming pools, including an 11,500 sq foot lagoon pool landscaped with waterfalls, palms, flowers, exotic plants and whirlpools. 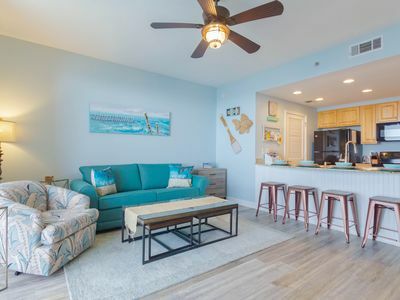 The exciting new kids’ Adventure Zone ,just in time for families to come and enjoy all there is to offer at Edgewater Beach & Golf Resort in Panama City Beach! With brand-new fun-filled amenities such as the Splash Pad and the Sky Trail® ropes course, as well as daily activities for the whole family, there has never been a better time to book your summer vacation with us! Guests can purchase daily or weekly Adventure Zone passes. 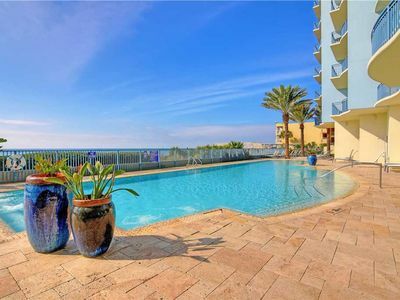 There are also 11 tennis courts, 2 golf courses, restaurants on site, jet-ski rental, parasailing, sailing, exercise room, fitness center, convention center, gift shop and beauty salon. There is also a Kidz Klub which features daily activities for children including, golf lessons, tennis lessons, arts and crafts and much more. 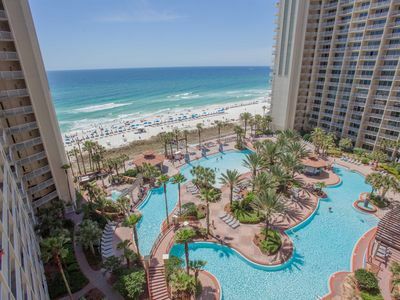 Edgewater Beach Resort has more than 1000 feet of private Gulf-front. There is a fishing pier extending in to the Gulf nearby. 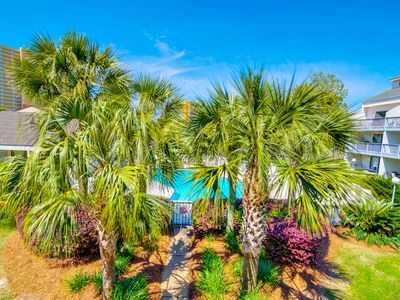 The Resort is minutes from many great attractions including, Shipwreck Island Water Park, Ripley’s Believe It Or Not Museum, Great Seafood Restaurants, additional Golf Courses, dinner cruises and Zoo World along with many others. For your convenience there is a tram service available for transportation throughout the property. Enjoy the worlds most beautiful beaches, pristine white sand and emerald water along with spectacular sunrises and sunsets. 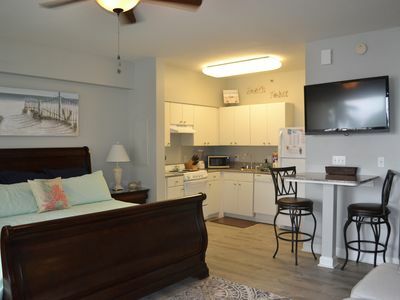 The atmosphere in Edgewater Beach Resort is relaxing and a great place to vacation. You never have to leave the resort to have a wonderful and relaxing vacation. There is everything from fine-dining at the famous FireFly restaurant to pizza located right on the property. 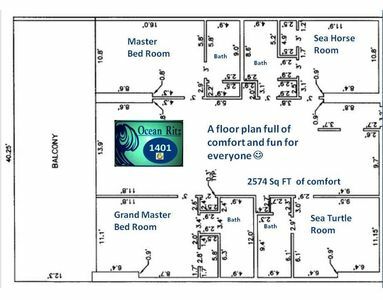 Room Service is available from the wonderful Ocean’s Bar and Grill which offers a wonderful variety of great and affordable entrees. Edgie’s Corner Market, located at the base of Tower I, offers a StarBuck’s coffee shop and hand-dipped ice cream as well as other snacks and convenience items. There is even a full-service hair salon located on the property. -We will not accept rentals for those under the age of 25.Age verification is required. -Check-in is at 4:00 pm Central Time and Check-out is at 10:00 am Central Time. 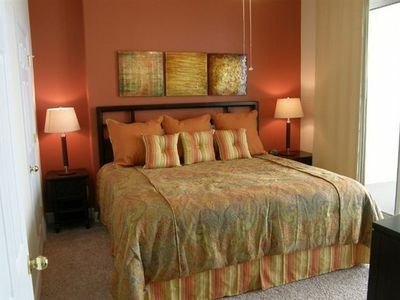 -A $500 deposit applies for monthly rentals. -The unit is a non smoking unit. 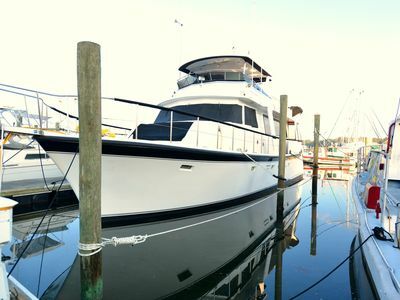 Tidewater 2802 - Don’t miss your spring vacation. Book now! 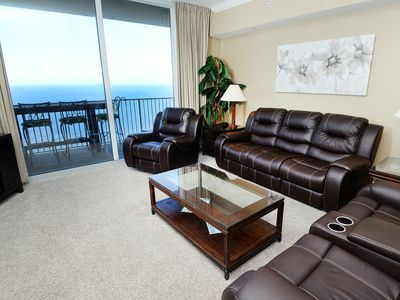 2 Bedroom 5 Star Condo On the Beach! Perfect Location! 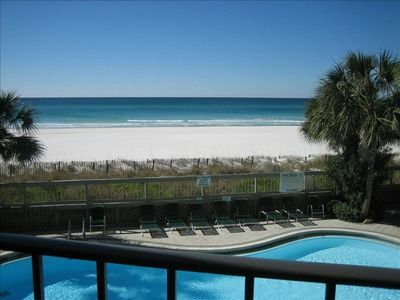 OPEN 4/20-27 NOW ONLY $1176 TOTAL! BOOK ONLINE & SAVE! 2nd Floor Studio with Parking / April Dates Open!!! BEACHFRONT!! FREE BEACH SERVICE!! TV SPORTS PKG!! NEW MATTRESS!! NEW 50" TV!!!! 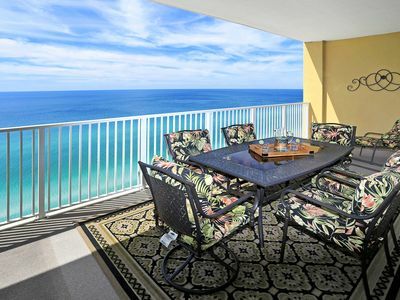 Gulf View - Sterling Breeze - Sleeps 7! Just Remodeled! Free Beach Service! Owner Managed! Read my Reviews! 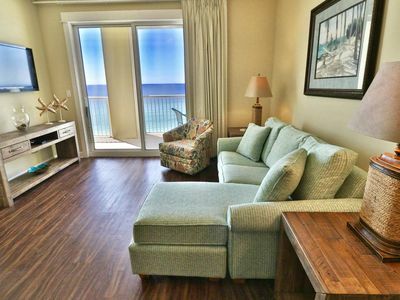 Grand Panama 2 Bedroom 2 Bath Updated Unit!! 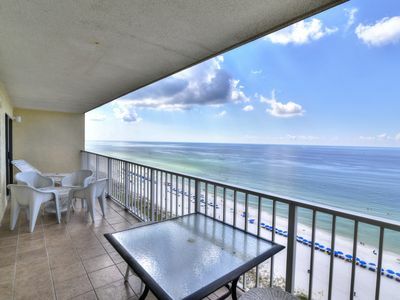 The Pointe 235A - Booking spring vacays, now!